Toronto is on bye this week so players are going to have to stack against someone else. Montreal is a very close second when it comes to exploitable matchups and enough folks are buying the “Montreal might not be terrible with Pipkin” narrative that Lulay and the Lions may still go under-owned. It’s nice when narrative street steers people towards your projections being naturally contrarian. The Lions certainly carry some risk but the salaries are relatively low and the matchup is enticingly good that Lulay is the play in Week 14 CFL daily fantasy contests on DraftKings and I ain’t Lion. It’s a wild week when Riders have the highest implied team total on the slate and you probably don’t want a single piece of their offence. It’s quite something when even Vegas is essentially banking on a defence or special teams touchdown from the green and white. According to the over/under lines posted, this looks like one of the lowest scoring slates of the season. On the weather front there’s a chance of rain affecting each of the three games but the strongest storms look to be in Hamilton as Montreal should be warm with a 10% chance of rain, Regina will be cool with a 40% chance of light rain but Hamilton should be hot with a 40% chance of thunderstorms. Given Hamilton and Calgary are the two biggest passing attacks on the slate, the forecast there is worth watching. Most folks who built lineups from Hamilton stacks last week were elated with their certainty of victory around 4 p.m. Eastern time last Saturday. Then Calgary and Edmonton decided to put up 90 total points out of nowhere. Bo Levi Mitchell had an astronomical 491 passing yards along with 4 TD passes – a wild 10.7 yards per attempt. The Hamilton defence he faces this week, though, allows the second-fewest yards per pass attempt (7.2) and the third-fewest total passing touchdowns this season (12). This is a lot more difficult matchup than a week ago, and his ceiling is hurt even more by the pace projections, as Hamilton allows the fewest plays per game to opposing offences at 51. This projects Calgary for a full 10 percent fewer plays than their season average. He’s the top projected passer, but Mitchell has a tough road to success in Week 14. The quarterback on the other side of the field Saturday afternoon in Hamilton has an even more difficult matchup, as Calgary has the only pass defence that outranks the TiCats. Masoli has had two huge weeks in a row but that was versus the Toronto secondary; it was to be expected. Calgary allows the fewest yards per pass attempt at 6.9, which is still almost a yard more than Hamilton allows per rush attempt at 5.99. Even after allowing three touchdown passes to Mike Reilly last weekend, Calgary has still only given up nine all season. Also, similarly to Hamilton, Calgary allows the second-fewest plays per game to opposing offences with 53.9, meaning the game overall will likely limit opportunities for both teams. The upside will be much tougher to reach this week. 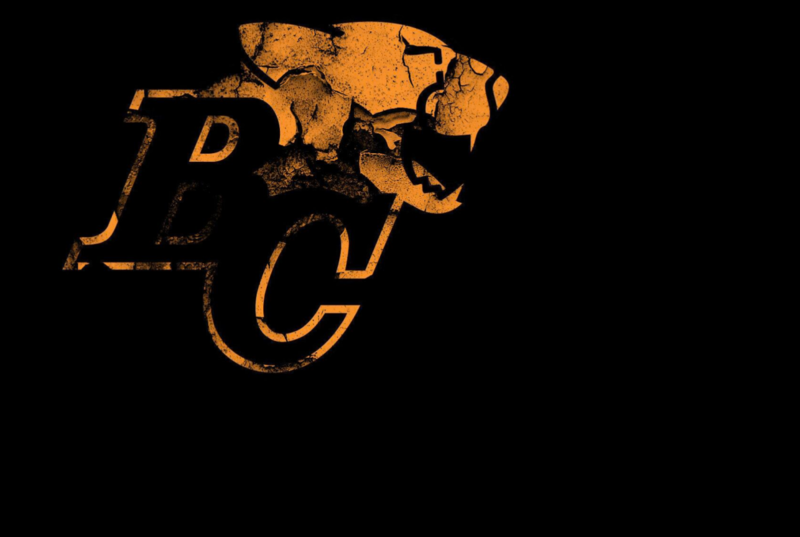 Travis Lulay returned to practice with the first team for BC this week. Lulay is one of the cheaper options at QB this week and may be in the best spot to succeed. BC has only passed for 11 TDs this season, but in the matchup with Montreal project for the second highest rate of passing TDs per attempt on the slate, as Montreal has given up a league high 23 scores through the air so far. Montreal also allows the most plays per game to opposing offences (63.2) and the second-most yards per pass attempt. BC should have more opportunities than usual to score and increased efficiency when given them. This may be Lulay’s week to shine at a deeply discounted price to his competition. Antonio Pipkin’s price tag is increasing but he’s still really cheap compared to other options. When the top projected options are expensive and in bad matchups, it’s a realistic option just to spend down to pay up elsewhere. The good news for Pipkin is that the BC defence is second only to the Montreal defence in terms of plays allowed per game to opposing offences—his opportunities to rack up stats should be there. The bad news for Pipkin is this is the toughest pass defence he’s faced so far in terms of yards and touchdowns allowed per attempt. Even the BC rush defence is significantly improved over the past number of weeks. Pipkin is also averaging over an interception per game to this point, while BC has forced a total 12 INTs. This will be Pipkin’s toughest test to date. Another BC player with opportunity to shine this week is Jeremiah Johnson. Montreal allows the second-fewest yards per rush attempt, which isn’t that heartening, but Johnson had 17 receptions over the three previous games before Lulay left with an injury in Week 13. With so many Lions’ receivers struggling with drops, Johnson has become a reliable target for Lulay in the passing game. Johnson’s outstanding scoring rates also give his value a bump. Alex Green’s scoring streak continued in Week 13 with a late receiving touchdown, giving him at least one touchdown in six straight games and a total of nine in that six-game span. At some point that streak will end and if any defence is likely to do that it is Calgary’s. The Stampeders have allowed the second-fewest rushing scores at only eight and allow the fewest yards per rush attempt at only 4.82. This will be Green’s toughest test to date, with his fewest projected attempts and worst projected efficiency staring him square in the face at his highest price of the season. He’s a difficult high spend this week. Green’s opponent on the other side of the field is likely to be Don Jackson who is expected to return from injury this week. Jackson had a solid outing versus Hamilton in the first week of the season with 87 rushing yards and a long touchdown run. Hamilton’s rushing defence hasn’t improved since then, allowing a league high 5.99 yards per carry. Jackson makes for one of the better options on the slate, regardless or position, at a very affordable price tag. Another cheaper RB option is a viable source of salary relief on the slate as William Stanback is also expected to return from injury this week to start for the Alouettes. After a rough start to the season, the Lions rush defence has improved a bit and slightly fewer yards per carry than league average at 4.98. They have allowed the third highest rate of rushing touchdowns per attempt, though, so Stanback has a decent shot at a score if Pipkin doesn’t vulture it. Ryder Stone may also steal a few touches, so expectations for Stanback’s production shouldn’t get too high. Like the quarterbacks, many of the top receivers find themselves in the most difficult matchups possible. The Hamilton duo of Banks and Tasker absolutely feasted on the struggling Argos secondary the past two weeks but Calgary is a much stiffer test. The availability of Ciante Evans will have a lot to say about it though. As of Tuesday, he still was not practicing, and the Calgary secondary wasn’t the same without him. Banks and Tasker could see a little more wiggle room with him out, but it’s still an overall very difficult matchup, with Calgary allowing the fewest yards and touchdown per target in the CFL. Sandwiched between those two is DaVaris Daniels, who has become the Stamps’ top target with the loss of Eric Rogers and Kamar Jorden to injury. Daniels has two straight games with over 100 yards receiving and touchdowns in four straight games. On the less expensive side, Bageltown re-opened for business in the greater Edmonton area last week after a soft opening earlier this season, as Reggie erupted for seven catches and 153 yards. A near $3K price increase is pretty steep though. As mentioned, the Hamilton matchup is much more difficult than he faced in Edmonton though as they allow the second-fewest yards per target and the third-lowest rate of receiving touchdowns per target on the slate. It’s not an impossible matchup to succeed against, but it’s not the most inviting matchup to target, either. The Ottawa trio of Spencer, Ellingson and Sinopoli make up the next bunch in the projection, but it’s hard to get too excited about any of them with the Ottawa offence in a funk that has led to only four passing TDs for the group in the past eight games, and a mere five total in 2018. Ottawa has passing touchdown per target rates similar to Toronto and Saskatchewan, which is not enticing company. The Riders allow the third-fewest yards per target to opposing receivers and the second-fewest plays per game to opposing offences, so it’s difficult to justify paying up for any of the Ottawa group. If going the full nihilist contrarian route, Ellingson is probably the best bet of the bunch. As mentioned earlier with Travis Lulay, the Lions passing game is in a good spot versus Montreal, and members of their receiving corps are still underpriced for the lower volume they received before losing Arceneaux to injury. Bryan Burnham is the steadiest member of the group with a 70.8 percent career catch rate while averaging 17.4 yards per reception this season. Ricky Collins Jr. made the comebackszn complete with his unexpected 26.5 fantasy point outburst last week, but he’s still certainly a more mercurial option. Montreal allows a bunch of yards and scores through the air, so the opportunities should be plentiful for Burnham, Collins, and company. After languishing under poor quarterback play most of this season in Montreal, Cunningham has quietly averaged 18.4 DK points per game since Pipkin took over under center. He’s always had big play ability, averaging 16.3 yards per reception in 2017, and now has a quarterback throwing him the ball with an arm better than the tensile strength of a wet noodle. The matchup isn’t great but the salary is still very affordable on a slate where most big play receivers are $9K plus. If players are going to take the salary relief with Pipkin, Cunningham is a great stacking option. The lone salary relief option at WR on the slate is Rashad Lawrence at $3600. It’s hard to get excited about a guy that was held completely off the score sheet in Week 13, but he did have 8 receptions for 56 yards over a two-week span in Week 6-7. It’s hard to imagine Masoli will be able to make the offence run versus Calgary by targeting only Banks and Tasker so Lawrence may get a few looks and doesn’t need to do much to justify the salary. The Roughriders have scored more touchdowns on defence than they have through either passing or rushing the football on offence in 2018. That’s ridiculous. The Riders have finally been priced as the top unit on the slate but even then $5K is very affordable given their track record. Ottawa has allowed the second-most sacks (24) and the fourth-most turnovers (24) while the Riders have forced the most sacks (29) and second-most turnovers (31). Add to that that Ottawa has scored the third-fewest TDs in the league on offence—behind only Saskatchewan and Montreal—and there’s the recipe for another great Riders defensive performance. With all the cheaper options at other positions, it may be another week to just lock them in. The Lions may be the best pivot option on the slate. BC generates the second-most sacks per game (2.4) and the Alouettes allow a whopping 3.3 per game. While Pipkin has breathed some life into the Als offence, they still score a league-low 17.3 points per game, while he averages over an interception per game. Enjoy he even smaller than usual slate that will be only 24 hours from start to finish and good luck in all your contests!